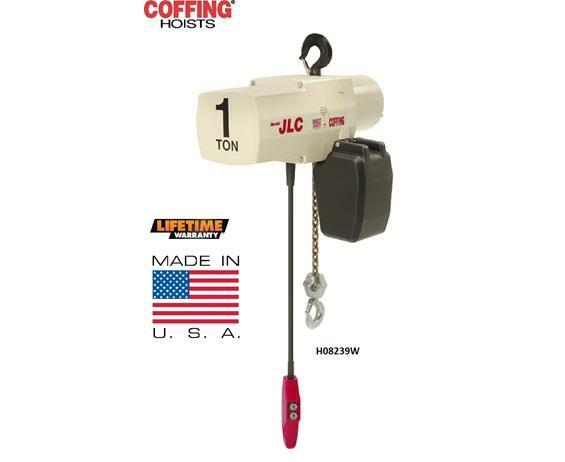 The Coffing JLC is engineered and built for the heavy-duty demands of industrial applications. Compact in size but big on features, the JLC boasts a multiple disc motor brake, overload clutch, and chain end stop for safety. FOB Shipping Point. Voltages include 115/230 - single phase, 230/460, 208, 380, 415, 575 - three phase, 60 hertz standard, 50 hertz available. Easy access to controls and motor leads for changing voltage or servicing the hoist. Heavy-duty multiple disc motor brake with direct acting design for positive load spotting and holding. 5-pocket load sheave for smoother lifting and reduced chain wear. Adjustable limit switches to regulate upper and lower load travel. Mechanical overload protection device protects hoist, operator and supporting structures. 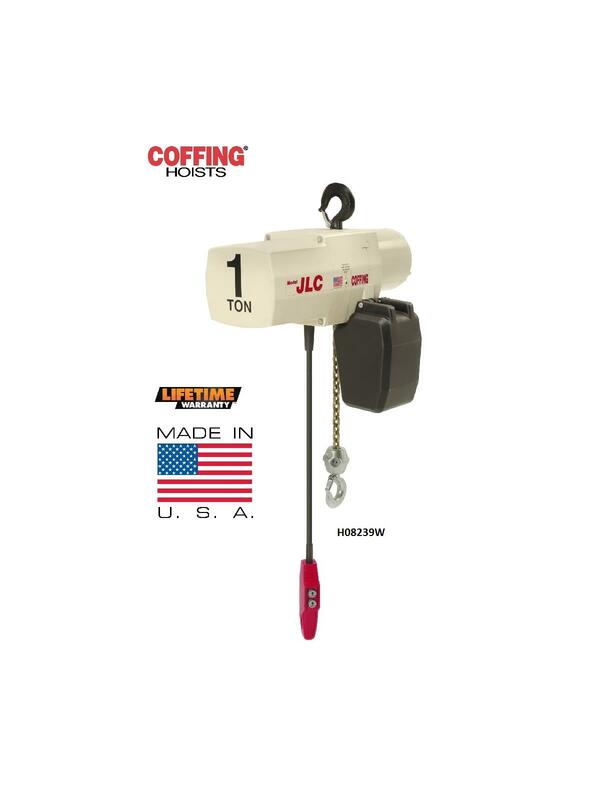 Two-speed hoist models optional with 3:1 speed ratio, 3-phase, single voltage only. Oil bath transmission and precision machined alloy steel gears for longer, quieter operations. Compact aluminum housing designed for portability and ease of installation. Call for additional capacities and lifts. Also available in lug mount configurations with plain, geared or motorized trolley. 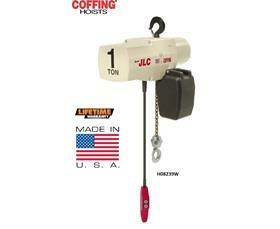 *Hoists are double reeved on 2 ton capacity hoists.